Steve Revilak, our quartermaster, was elected to Arlington town meeting Saturday night. He is the first elected Pirate in Massachusetts. Four town meeting member positions were up for election in his precinct. He tied for second place in the five way race. His success was due, in part, to his door-to-door efforts. Noelani Kamelamela and Kendra Moyer lent a hand. Most every municipality in Massachusetts has an election this year and we are looking for candidates. Contact us if you are interested. Congratulations, Steve! At the flick of a … what? 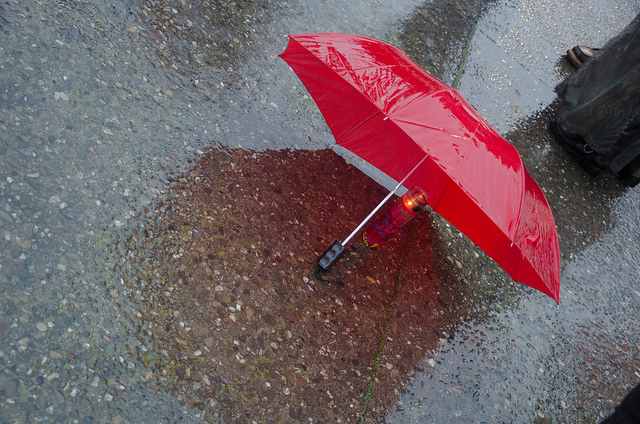 published under Issues | Comments Off on At the flick of a … what? 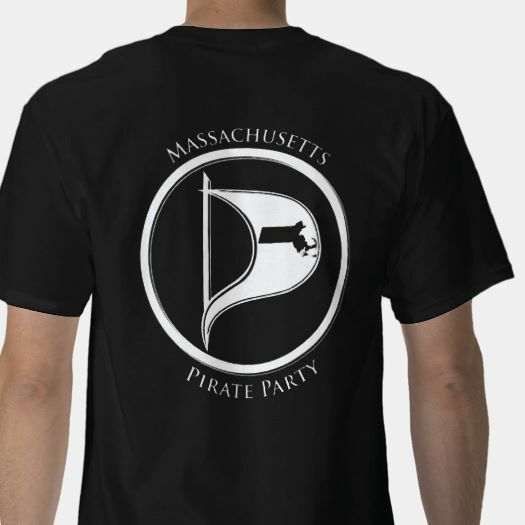 The Massachusetts Pirate Party’s next cryptoparty is Sunday March 22nd, from 2pm-4pm at the Worcester Public Library, 3 Salem Street, Worcester, MA 01608. The event will take place in the Banx Room. What’s a cryptoparty? It’s a gathering where people learn about cryptography, and how to keep their digital communications private and secure. It’s useful to bring a laptop, so that you can try out the tools we’re presenting. (Bringing a laptop isn’t a requirement though; it’s purely optional). On Sunday, we plan to look at Jitsi (a Voice over IP program) and GnuPG (software for encrypting email messages, and creating digital signatures). This event is free, and open to the public. We have had some interesting discussions on IRC about Boston’s bid for the 2024 Summer Olympics. Some of us point to the lack of transparency of the private bid, the fact that most recent Olympics have been wildly over budget usually at government expense and the resulting increase in police power and loss of freedom of speech. Others think there may be a silver lining to it if it yields needed infrastructure spending (hello MBTA) and it shouldn’t be dismissed out of hand. What do you think? Image: Mark Cartwright, published on 26 April 2012 under the following license: Creative Commons: Attribution-NonCommercial-ShareAlike. (Updated (Oct 18th 2015): we have since withdrawn support for the We The People Act.) Dollars are not votes. 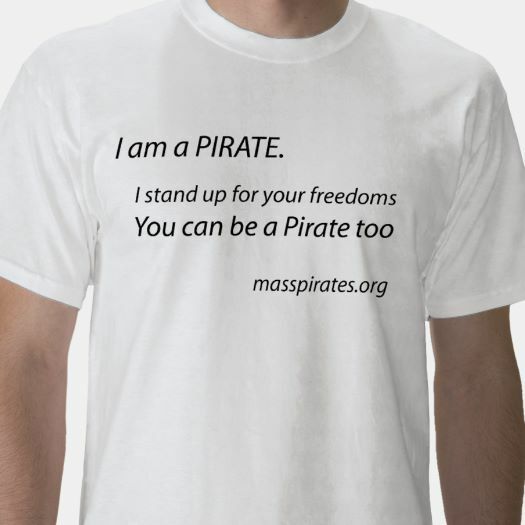 Last fall, the Massachusetts Pirate Party helped gather signatures for PassMassAmendment. This was an effort to amend the Massachusetts constitution, adding language that (1) Corporations are not People, and (2) Money is not speech. The effort gathered over seventeen thousand signatures; unfortunately, that wasn’t enough to trigger the amendment process. Work on this issue continues, and the Massachusetts Pirate Party is proud to endorse the We the People Act. This legislation (H.D. 1988 in the house, Sponsored by Cory Atkins; S.D. 1538 in the senate, sponsored by Jamie Eldridge), calls on Congress to propose an amendment to the U.S. Constitution asserting that the rights protected by the Constitution are the rights of natural persons, i.e. human individuals, only and Congress and the states shall place limits on political contributions and expenditures to ensure that all citizens have access to the political process, and the spending of money to influence elections is not protected free speech under the First Amendment The We the People Act “puts Massachusetts on record calling for a convention of the states for the purpose of proposing the amendment”, if congress fails to do so after six months. The We the People Act has 62 co-sponsors in the MA house, and 19 in the Senate. If you don’t see your legislators listed, give them a call and ask them to support the We the People Act. Three other states have called for a constitutional convention: California, Vermont, and Illinois. We hope to see Massachusetts become number four.